Christmas is great – it’s lovely to spend time with family and friends and just relax for a day or two – but for me, the New Year is always a very special time. Not because I get really excited by Hogmanay – I’m happy to leave those celebrations to my friends north of the border. No, it’s because very shortly after New Year’s Day comes my favourite day of the year – the London International Boat Show preview day. To be honest, I get the same feeling of excitement and anticipation over that as I remember having as Christmas approached when I was a child. Why? Because I can surround myself with everything I love – and share it with those who are closest to me – my wife and my brother – with whom I co-own our old Seamaster cabin cruiser, Terra Nova. 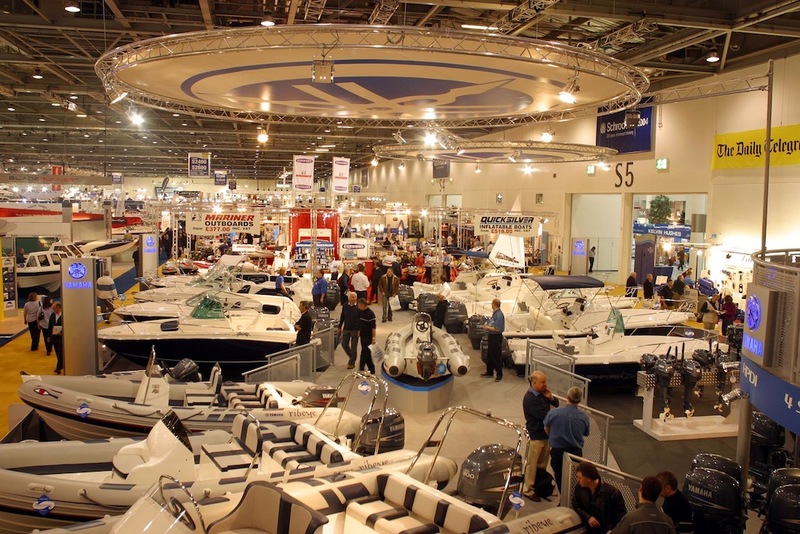 Apart from the hundreds of boats and thousands of pieces of chandlery and other boat-related bits, there’s always loads to do at the show and the 2012 extravaganza looks like being no exception. The Watersports Action Pool is always a big draw with everything from sailing and windsurfing demonstrations to break boarding, kayaking and paddle boarding for punters to have a go at. The pool – which measures 70 metres by 24 metres – contains a million litres of water. There will be a chance to improve your sail handling with a visit to the Harken stand and if you’ve got a head for heights, then this year there will be a chance to find out what it was like to be a sailor in Nelson’s navy by climbing one of the masts from HMS Victory which is currently undergoing a major refit down at her home in Portsmouth. But obviously the major objective for most visitors will be to take a look at the wonderful array of boats on show. For those with somewhat shallower pockets, a worthwhile diversion will be to take in the Used Boat Marina, which will be featuring up to 70 boats – both power and sail – of all different sizes. It’s a great opportunity to get aboard and find out whether what you see from the outside matches up to your expectations and needs inside. There are plenty of catering facilities available at the Excel centre in Docklands and the easiest way to get there is probably by using the Docklands Light Railways to Prince Regent station. Admission to the boat show costs £21 in advance for adults on the preview day (£25 on the gate) and £16 in advance for adults (£20 on the gate) for all other days. Children under 15 go free and there are concession rates for senior citizens, students and the disabled. Now all I need is that lovely machine at Camelot to pick the right six numbers for me and I can really have some fun at the show…!